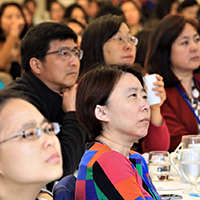 Dr. Zhang is a visiting professor at School of Social Work, University of Pittsburgh. He is also the Chairman of the board and senior data scientist of Mosaix Software Inc. in Pittsburgh, PA. Between 1996 and 2014, he served as CEO of KIT Solutions® LLC., a company provided cloud-based grantee performance management services empowering government and social service organizations to effectively manage social investment and measure accountability, performance and outcomes. He was the recipient of NPN (National Prevention Network) 2007 Award of Excellence; served on the National Advisory Council for Drug Abuse (NIDA) between 2007 and 2010; a finalist for Ernst & Young Entrepreneur of the Year 2008 Award in Upstate New York, Western Pennsylvania and West Virginia, and was selected by Pittsburgh Smart Business magazine for the Pace Setter award in 2009. 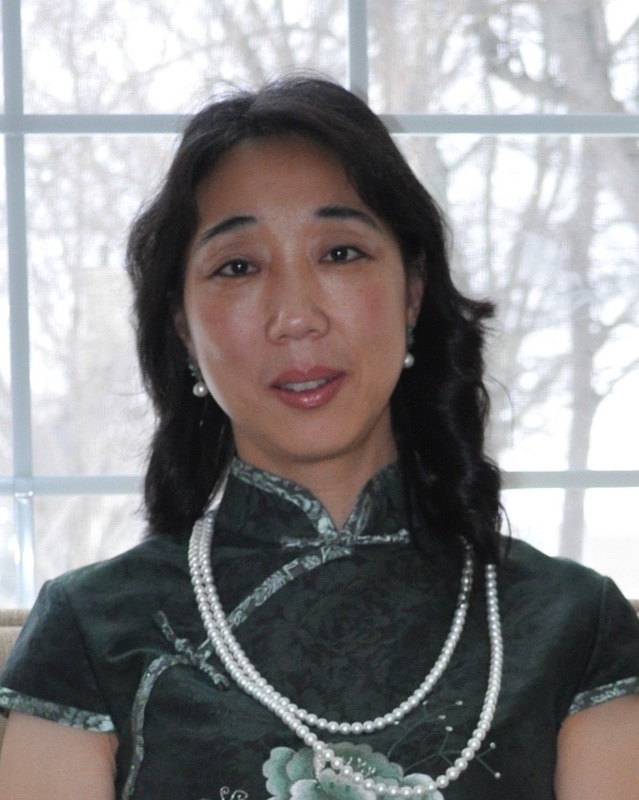 Haipei Shue (薛海培) is a Chinese American community activist in Washington DC for decades. He has played a leadership role in passing the Congressional “Chinese Students Protection Bill” in 1992 and advocated with American business community on China trade issues. Particularly, Haipei is instrumental in and responsible for the passage of Congressional Apology Resolution on Chinese Exclusion Act of 1882. 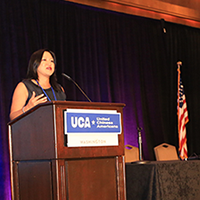 In 2016 he started to mobilize Chinese American community to form United Chinese Americans (UCA) and organized the Inaugural Chinese American Convention in DC for community leaders, activists and elected officials to come together to set a common agenda and move the community forward. In addition, Haipei has worked as a commentator for Phoenix TV and was an advocate for environmental cause in China and beyond. Chaoyu Xie (谢超瑜) is a pharmaceutical program leader. She was the Director of Chemical Product R&D in a pharmaceutical company and has 15+ years of experiences in leading multiple cross-functional teams in developing drugs to treat diabetes, cancer, and autoimmune diseases. Chaoyu has served as a champion of Asian diversity at local community, advocating for proportional representation of Asian Americans in leadership positions. She has also co-founded the Shanghai Chapter of American Chemical Society to develop connections among China and USA chemistry professionals. Her passion is to help build a strong Chinese American community. Chaoyu has a Ph.D. degree in Chemistry from Brandeis University and post-doctoral training from Harvard University. 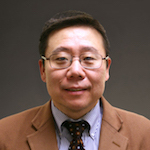 Ray Liang (梁瑞凤) is the managing director for an NSF-sponsored composites research center at West Virginia University. A graduate of Tsinghua University, he received his PhD degree from the Chinese Academy of Sciences Institute of Chemistry and worked there as a professor prior to joining WVU. As a Royal Society visiting fellow, he has also worked at the University of Cambridge for four years. He is the founding president of the Shanghang Hakka Association of North America (SHANA) and is also the vice president for outreach of the West Virginia Chinese Association (WVCA). He is equipped with knowledge and skills of financial control and budget planning, and has been receiving accounting and ethics certification training from the WV State Auditor’s Office biennially since 2006. Shirley Ma (马晓红) is a scientist of a biopharmaceutical company in California. Before coming to the United States, Shirley had been working in an Ophthalmology Department as an eye doctor. She had been serving as the director of the youth group of APAPA TVC youth group; She organized fundraising for Lindy Li in 2015 in SF Bay Area and 2017 UCA SF lunar new year jiaozi party; Shirley is a dedicated volunteer of the UCA 2016 convention and managed all convention documents for the convention steering committee and individual donor follow-up. Steven Pei (白先慎) was born in Guilin and grew up in Taiwan. He is an electrical engineering professor at the University of Houston, a member of the Faculty Senate, Executive Director of the Southwest public Safety Technology Center found by the Congress, and was the Associate Dean of Engineering. Two startup companies from his research group went public at NASDAQ and in China. 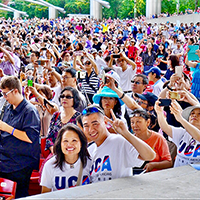 Besides commercializing high-tech and promoting Sino-American relations, he has served the Asian American community in various capacity including on the founding board of Houston 80-20 Asian American PAC and several civic and environmental organizations. Prior to moving to Houston, he was a department head at Bell Laboratories, Murray Hill, NJ. George Wu (吴大同)is an intellectual property attorney. He immigrated to the United States at an young age growing up mainly in Houston, Texas. He graduated from U.C. Berkeley followed by a Ph.D. in Molecular Biology from Cornell University and a J.D. from Fordham University. He is currently a partner at an IP boutique law firm in Chicago. He has practiced for over thirteen years focusing on patent procurement, IP opinions, IP litigations (including ANDA litigations), and Post-Grant Proceedings at the Patent Trial & Appeal Board. He is also a board member and treasurer for the Chinese American Bar Association of Chicago.